After I last mentioned that I would be starting a project to remember Eriq by creating "Q's Caps" I never came back to this site to give you all the information. Many of you were able to come to the service or have otherwise gotten the information, but for those of you that are interested in following our progress or joining in making caps or even making yarn donations and haven't yet gotten the information, here is the blog site: http://Qscaps.blogspot.com. I will not likely continue to update this Caring Bridge site but I have been regularly updating the blog for Q's caps with both notes and pictures. If you would like to visit it from time to time, feel free, if you would like to subscribe, there is a link for that as well. As before, thank you for all your support throughout this past year and a half and the continuing support now. Many of you I don't even know but I have received great comfort knowing how many people had so many great things to say to and about Eriq. One last note is that if anyone is interested in the Denton (or Dallas) Susan G Komen Race for the Cure, I am a team captain for Denton and will be joining a team for the Dallas race. I would love to have anyone join me or feel free to follow my progress. 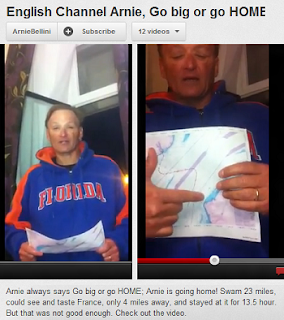 Congratulations, Arnie Bellini, on Almost Crossing the English Channel! In an inspiring and heartbreaking 13.5 hours, ConnectWise President Arnie Bellini almost crossed the English Channel. He released a video saying this was an example of failing fast - his decision to stop when he realized he had been pulled past the landing spot by the tides. I don't mean to argue with someone who got more exercise yesterday than I have in my entire life, but this isn't failing at all. It takes far more than I can imagine to attempt to swim the English Channel. First, this is a great example of a BHAG - Big Hairy Audacious Goal. The rest of us have lots of excuses of why we've never tried to do something like this. But at the most basic level, we simply never set that as a goal. It is appropriate that this comes so close to the Olympic games in England. There, too, the athletes each set themselves the goal of getting to the Olympics. You have to have goals to achieve things. You have to have Big Hairy Audacious Goals to accomplish big hairy audacious things! Second, there is massive training. You never wake up one day and swim the English Channel. I don't care who you are, you have to train for this. You have to know what it feels like to get in that water. You have to experience the waves. You have to be in great shape. You have to be able to swim for more than ten hours! All of that takes practice. Third, it takes planning and logistics. Boats, gear, timing, etc. Again, I can't even imagine how you plan something like this. I'm sure that icy water would be a lot icier in January, so the right month matters. But I don't even know if you need permits or a special Visa to arrive in France by swimming! You have to have some kind of a team and some emergency planning. Details, details, details. Fourth, it takes personal conviction and follow-through. After the goal-setting, after the planning, you have to execute that training. You have to push through the barriers. You have to do all the little things and big things that move you to your goal. I can say that I am honestly in awe of Arnie Bellini for this feat. It would have been even more awesome if he had made that last four miles. But he has attempted to swim the English Channel 100% more than I ever will in my lifetime. He has set a Big Hairy Audacious Goal for himself and worked hard to make it happen. At every step - the goal setting, the planning, the training, and the execution - he exceeded the achievements of most of the people you'll ever meet in your life. While I'm sure it is a terrible dissappointment to be stopped so close to the end, I hope Arnie accepts this as one of the great victories of his life. He is an inspiration! As strange as it sounds, there's a simple habit that separates companies with good cash flow and companies without: Good Billing Practices. That means sending out accurate invoices, sending them out in a timely manner, and enforcing reasonable payment terms. We're not going to address payment terms today. There are two processes detailed here since the function of reviewing Time entries is typically done by the service manager while expenses and products are reviewed by the office manager or Accountant. Once you get this ironed out, it should go very quickly. 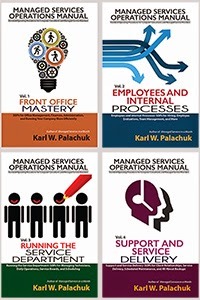 This is particularly true if your services are structured so that most labor is included in managed services. I recommend doing your billing once a week. If you take care of this every Monday, it will be super-quick and you'll never be out of touch with your accounts receivable. One of my rules for life is that you get better at whatever you put your attention on. Put attention on your finances, and you'll improve your finances. 4. Be consistent in annotating the Notes sections of the time entries. Keep Credit notes one line below tech notes. There is a list of commonly used notes at the end of this article. 5. Remember that any system covered under Managed Services must have notes supporting why we SHOULD bill for a given time entry and systems not covered must have notes supporting why we should NOT bill them for a given time entry. 6. All steps in this process are necessary and are in a particular order. None should be skipped even if you believe you know the process. Obviously, you will need to adjust the process to fit your PSA system. 3. Sort the list from greatest Bill Amount to least. You will work through the companies from those with the most work to those with the least. 5. Start by clearing all the checkboxes for Time entries. They must be reviewed before they can be considered accepted and the checkboxes will be what keeps track of your progress. 6. For each company, sort so the oldest entries are at the bottom of the list and newest at the top. Start with the oldest entries first. This is because billing of previous items can effect decisions for billing of newer items. 7. Verify that the Agreement field is cleared or set to the correct agreement based on the client and the system being worked on. Note: This may be changed later for items that are initially believed to be covered under managed services but will be billed for some reason. 8. If an item is completed but not "closed," change the status to Closed. 9. Verify the Work Type field is correct. Change as needed. Note: This is critical as the minimum hours billable depends on the Work Type. 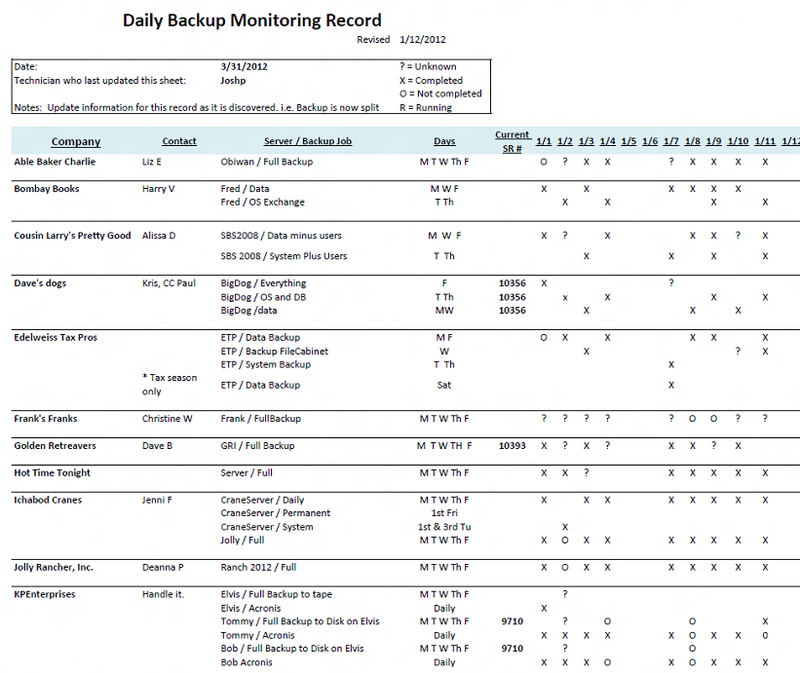 11. Review the Time entry for Onsite and Remote Minimums. - If the Actual Hours is less than 1 hour, determine if there were any other time entries for the same technician on the same visit. - If there are other time entries for the same visit, adjust the Invoice Hours field to match the Actual Hours field. - Double check that the total Invoice Hours of all time entries during the visit do up to the onsite minimum. If it does not, adjust the last entry to bring the total up to the minimum. 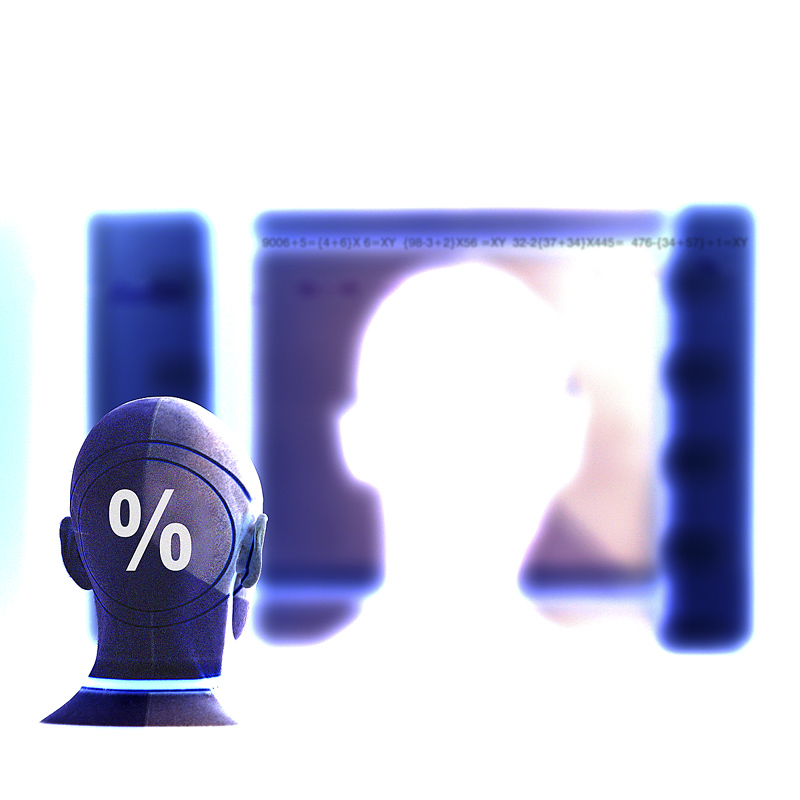 - If the Actual Hours is less than 0.5 hours, determine if there were any other time entries for the same technician during the remote session. - If there are other time entries for the same session, adjust the Invoice Hours field to match the Actual Hours field. - Double check that the total Invoice Hours of all time entries during the session add up to the remote minimum. If it does not, adjust the last entry to bring the total up to the minimum. 12. Review the main Notes section for content and clarity and to ensure it always ends with “Documented work.” Edit as needed. a. Adjust the Invoice Hours accordingly. Note: If all time will be credited, simply change the Billable field to no Charge. b. Enter a note at the end of the main Notes section for the client to see. Note: Time entries that are longer than reasonable for the task must be carefully evaluated. It is most likely that the tech did not enter sufficient notes to support the time on site or the tech was in training on the task. If a little clarification from the tech can validate the billing and it is worth the time, contact the tech. Either way, the tech must be reminded of the process and encouraged to have excellent notes from the start. - Adjust the Invoice Hours to reflect 0 (we don't charge for internal notes). - Enter a note at the end of the main Notes section for the client to see. - Review the reason given by the tech and adjust the Invoice Hours accordingly. Note: If all time will be credited simply change the Billable field to No Charge. c. Items marked as either Not covered or Billable. - Review the reason given by the tech and if any of the time will be billed, change the Agreement field to the "Billable Time and Materials" Agreement and adjust the Invoice Hours accordingly. 15. Verify that there are not a number of duplicate notes. Basically, clean up the time entry so that is will be as easy to use in the future if you need to look at it and all people involved have forgotten the details. 16. Save and close the entry. Check the box for that item and go on to the next. 17. When all Time entries have been reviewed for a specific company, return to the search list and check the box for that company and go on to the next. 18. Repeat the above process until all bills for all companies have been reviewed. 19. Compose and send an email to the bookkeeper informing them that Invoice Review is complete and indicating any issues or reservations with any of the entries. 5. Generate an invoice for all products. Note: We invoice products separately in case there are disputes about labor. 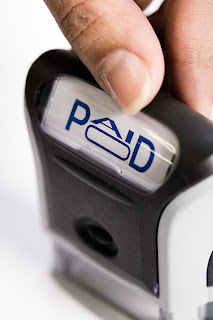 We do not want to wait for payment on products simply because they were included on an invoice with labor. 6. Make sure invoices in the PSA and in QuickBooks are in synch. You might do this manually if you have low volume, or use the connection tool built into the PSA system. Note: Invoices are generated in PDF format and mailed to the client contact. Always start the annotation with "Note: Credited x.x hour(s) -" i.e. Note: Credited 0.5 hours – Time in excess of quoted. - "All hours covered under Managed Services Agreement"
- "Time logged against another Service Request"
- "Time in excess of reasonable"
- "Time in excess of reasonable for the project (or task)"
- "Time in excess of quote"
- "No billable work performed"
* When billing weekly, we recommend a billing period that starts on Sunday and ends on Saturday. In addition to being a standard week, this gives you time to settle all work and time entries for the previous week before you do billing on Monday. One person mentioned that my questions were biased in an obvious way. He didn't say what that bias was. All I can say is that all surveys, no matter how "professional" have bias. I don't worry too much about my bias since I don't pretend to be a reporter (and I think all reporters are more biased than the rest of the population anyway). Another person asked why I didn't ask about Office 365. Well, my bias is that I didn't see how related O365 is to all of this. But YOU sure did! There were lots of comments about Office 365, including some strong confusion about how it's related to Server Essentials. We'll talk more about that next time. In hindsight, I should have asked about O365 in the "Will you deploy . . .?" section. Hindsight is always 20/20. On a totally unrelated thread, I am going to be looking at O365 very closely next week in light of the announcement of the next generation and related licensing. My bias has been against O365. But if it's the only real option available, then I need to figure out what the new product looks like and what our deployment strategy will be. Stay tuned. The most obvious result you'll see in the comments is frustration - and a fair bit of anger. It's fair to say that these will fade once the confusion has died down. Right now there are more questions than answers. I think a great deal of the negative reaction is related to the perceived change taking place between Microsoft and the SMB Community. Part of this is based on the real changes made over the last five years. Part is based on recent changes with the SBSC/Small Biz Competency/SBS product line. And a huge part is based on the way these announcements were handled. I am sorry for the folks who were truly blind-sided by the End of Life announcement for SBS. But this has been coming for years. It really is the next logical progression. But there are two elements in this announcement that really pissed off a lot of people. First, people were angry about the timing and combination of announcements regarding end of life for the Small Business Specialist program and the EOL announcement for SBS. I watched the EOL announcement for the SBSC program. After the EOL announcement for SBS, I listened to it again. It is very clear that the presenter knew about the EOL of SBS but gave no hints. Obviously, he couldn't make an announcement before the announcement, but people who attended really felt sucker-punched when the SBS EOL announcement was posted on the SBS Blog a few days later. Second, it is very obvious that the Microsoft MVPs and PALs were left out of the decision regarding EOL of SBS, as well as the announcement. My guess is that Microsoft "took their advice," but gave them no advance notice about decisions. That left Microsoft's strongest advocates within the community confused and telling everyone, "I had no idea this was coming. We were not consulted or involved." Many people feel betrayed by the way this was handled. Community members and MVPs. In particular, many MVPs had a very strong (negative) reaction when folks from Microsoft said that these decisions were "based on feedback from MVPs and other partners." Several MVPs were very loud in their insistence that they were not involved in these decisions. With so many changes coming all together, it would have been good to make a major broadcast from Microsoft that announced these all at once - with a super-positive spin and a clear vision of where Microsoft wants to take the small business community. What's the plan for SBS? What's the plan for transitions to Server 2012? What's the plan for the Small Biz Competency? Where do we find more information. Partners feel squeezed out by Microsoft. Part of that is the disintermediation created by Office 365. And part of it is created by suddenly dis-engaging from a community that has been heavily engaged for almost ten years. Having admitted that my hindsight is much better than my foresight, I can't complain too loudly about Microsoft not foreseeing this reaction. Still, it seems hard to believe that you wouldn't expect people to have a strong emotional reaction when you discontinue a product line on which they've built their entire business . . . to Microsoft's benefit. The strangest part of this is the silence from Microsoft in the last week. I've been contacted by MVPs, user group leaders, and lots of consultants - all wondering what's going on and what's next. I'm sure (I hope) Microsoft folks are preparing a response. But the longer silence goes on, the more people will fill in the blanks themselves. I've addressed the element of surprise elsewhere, so I won't rehash that. In the big picture, I think this move was inevitable. I think the future is very bright. I think we have lots of options. Sometimes stuff happens and you can't do anything about it. This is, in the end, a business decision. It's not personal (Let's be honest, Microsoft doesn't know who I am or who you are.). There's nothing going on here except business. So I think anger is probably misplaced with regard to the EOL announcement. In terms of P.R., the announcement could have been handled a lot better. But the actual end of life is just a thing. There's s lot of worry about what to sell next, should you sell and EOL product, and what replaces the SBS we've been selling? First, you now have 17 months before SBS is gone. I have to say, that's plenty of time to figure out what's next. Many people are worried about this. But I think far more people will have figured out a plan than originally believed they would. Second, in this case there's no problem selling SBS as an EOL product. In fact, you can use it as a sales incentive! Every product bundled into SBS is a Microsoft product. So when the client is ready to move on (in 2015 or 2016), there will be a clear upgrade path to Microsoft products. Or you could migrate away from Microsoft to alternative products. This is not like Response Point, where there was no path at all except to throw the system on eBay. Some people clearly intend to sell SBS Standard as long as they can and then keep the old servers around as long as they can. This has the potential to create another XP experience for Microsoft: SBS - the server that never dies. And to be honest, there are plenty of people who are totally okay with the change in product line-up. If you're not totally wedded to the way things used to be, the future looks pretty good. It will be much more expensive for end users, but there will be no shortage of things to sell. One very positive reaction from the survey: "Been working with SBS since v4 so sorry to see it go. But given cheap hardware [and] easy virtualisation there is little reason to have 1 server. I'm pretty excited about Office365 and implementing more. As long as there is a good migration story I don't think I'll have too much to grumble over." And one respondent put things in perspective about the realities of the world we live in: "I'm more worried about the guy who posts a yard sign I Can Fix Your Computer in 24 Hours devaluing my worth than the loss of SBS." Probably the biggest thing Microsoft should be paying attention to is the very high number of responses that mentioned moving away from Microsoft products and onto alternatives. Time and time again, people talked about moving away from Microsoft. As I've said many times, once Microsoft opens the door about whether I should sell a specific product, that door gets opened all the way! Alternatives specifically mentioned include Linux (Unix, Ubuntu, Red Hat), Kerio, Google Apps, Open Office, Dropbox, Zimbra, and Freeware. There's great irony in breaking apart the SBS product back into its component servers. Way back when, we hobbled together storage, logon, email, backup, and remote access. As consultants, we had to pick a group of products that worked well together and didn't break the client's budget. When SBS is gone, we'll be doing that again, just like we did in 1999 (SBS didn't really have much traction until the 2000 version). Time and again, partners have said that, if Microsoft doesn't have a right-priced upgrade path, the competition will. And if the competition doesn't, then we'll each be back to building our own. There is no scenario in which Microsoft will continue to own as much of the technology in client offices as they own today. Again, once the door is open, it's open all the way. Right now there's a lot of confusion over the product line. There's confusion over certification (which I'll discuss next time). Microsoft's complete blackout of communication with the community doesn't help. As for clients, relationships, and Microsoft: Some partners feel very strongly that Microsoft is pushing us away. I just talked to a reporter who asked me, "Do you think Microsoft just decided they don't need all those small businesses and small business partners?" If reporters are asking that question, you can be sure partners are as well. If we stick with Microsoft products that are too expensive for small businesses, will we make any money? And if we push them to cloud-based products with paper-thin margins, will we be forced to have ten times as many clients just to stay in business? Some have said that we all need to become mass-marketers focused totally on quantity sales. Well, there can only be a limited number of people in that space. We can't all be mid-sized partners for Microsoft! But there's a very bright future here: As on respondent said, the mid- and large-size integrators can never take our jobs because they cannot provide personal, dedicated service or true consulting (advice). They must become commoditized box-pushers. 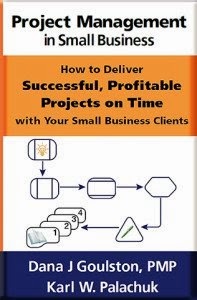 They cannot provide the patience, flexibility, and hand-holding required by the small business client. 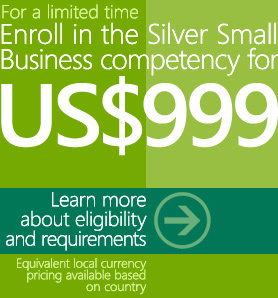 Microsoft has never really understood small businesses. That's why they engaged the community. One of the primary reactions to uncertainty in any market is paralysis. Look at buying habits since the economic collapse in 2008. Many, many clients have simply stopped spending. Or put off spending until something broke. In times of great uncertainty, they simply retract and keep doing what they were doing until some clarity emerges. Microsoft may have unwittingly created a new level of uncertainty that will simply stall decision-making for some time to come. Eventually, Microsoft will release white papers, go to market campaigns, and hands on labs for all this stuff. Right now we don't know enough about Windows 8, Server 2012, Server 2012 Essentials, Office 2013 /365, or the process of moving from EOL SBS that we'll need to have in place by 2015. But we'll learn. We'll come up to speed. We'll figure out how to make money - as we always have. The future will have a lot less Microsoft in it. But if you're a true consultant - a technology adviser to your clients - then you've got years of work and massive opportunity ahead of you. Remember, FUD=$. One of the interesting things about "living out loud" is that you expose the world to parts of your personal life. And if you don't manage that well, you give up some of your privacy. Many people might be surprised, given my activities on Facebook and this blog, that I have all kinds things in my personal life that you don't know about. On a few ocassions I have had to actually ask people to keep some of my personal stuff off the blogs, etc. The primary example of this is my divorce a few years ago. But there are other things as well. I have been implementing a series of major changes this year. I've added a few things, removed a few things, and changed a few things. The overall effect is to help me move closer to the life I want (personally and professionally). Today I am announcing that I have disbanded the Cloud Services Roundtable. That URL now points to its replacement, the SMB Community Podcast. Really attentive people will note that I've been using that name for some time, sprinkling SMB Community Podcasts in with the member-only podcasts. 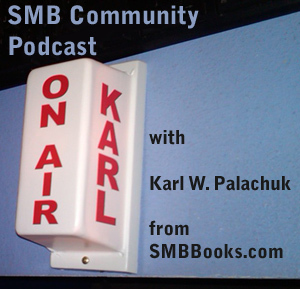 Effective immediately, all of my public podcasting will be done through SMB Community Podcast. Awhile back I announced that I was putting an end the Promotion Monkey Newsletter and the Freeday Friday call-ins. See the blog about that. Now I am putting an end to the CSR - even though it was a paid subscription program. A few days ago I announced that I am taking on some coaching clients. All of this is intended to help me move toward my big picture. I want to write more. I want to do more speaking and more training. I'm not done evolving, but the last month has certainly brought some major changes that will help me move in the direction I hope to go. Check out those archived podcasts! I mentioned in my weekly newsletter this morning that you should keep your eyes on Robert Crane's blog for a podcast. Just got the official announcement that the podcast has been posted. It's a conversation between Robert, Ken Shafer, and Jeff Middleton. In this episode I'm joined by Ken Shafer and Jeff Middleton to discuss the recent changes to the Microsoft Small Business Server offerings. We chat about what the changes mean and what impact they will have on resellers and the community at large. We look at some ideas for what needs to happen in the SMB technology reseller space. If you sell or support Windows Small Business Server don't miss this episode. Don't forget all the other podcasts at http://ciaops.podbean.com and appreciate a like over at http://www.facebook.com/n2kpodcast. Remember if you want to be a guest please contact me. Last week I put together a survey and asked the community to respond. Boy, you sure did! We had almost 500 responses (498, actually). Of those, 204 people entered in comments. Some of them were quite long. In all, you gave more than 10,000 words of feedback. Twenty-four countries were represented (Australia, Belgium, Brazil, Canada, China, Denmark, Finland, France, Germany, Greenland, Hungary, Ireland, Israel, Italy, Netherlands, New Zealand, Philippines, Puerto Rico, Slovenia, South Africa, Sweden, Switzerland, UK, US). Here are the core survey results. I've added just a few notes at the end for some stats that are not immediately obvious. If you are interested in a Word document with all of the comments, you can request that here. (27 pages - Free, of course.) I have stripped out individual names and and email addresses. Other than that, it's just as entered in the comment section. 4. How likely are you to sell these services in the next 12 months? - A total of 498 people filled out the survey. - 62% of respondents were somewhat surprised or completely surprised by the announcement that that SBS Standard would be discontinued at the end of 2013. - 65% of respondents identified themselves as Microsoft Small Business Specialists (SBSC). - 65% of respondents say they definitely will not, or probably will not, seek the new Small Business Competency. - Of those who identified themselves as SBSC, 58% say they will not, or probably will not, seek the new Small Business Competency. - Over half ( 54.5% ) of respondents installed between zero and five Small Business Servers in the last year. - For each of the cloud services that we asked about, 20-50% of respondents are already selling the service. - When you combine those who probably will, definitely will, and already are selling each of the cloud services we asked about, the totals are in the range 50-70% for each service. - An amazing 76% of all respondents have looked at either SBS Essentials, Foundation Server, or both. - While 67% of respondents said that they would not have a solution to replace SBS if it disappeared tomorrow, 58% of them believe they will be able to revise their business model by the end of next year. 46% believe they will have a successful cloud-integrated offering within the next 12 months. - 83% of respondents participate in IT Pro groups at some level. 35% say they expect to be more involved in the SMB IT Community in the next year while 24% expect to be less involved. Comments welcome. More to come! 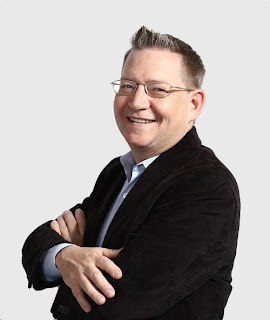 Please check out the HP/Microsoft Coffee Coaching blog. 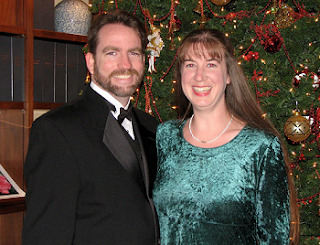 You'll find their blog on my Blog Roll at my Small Biz Thoughts blog. 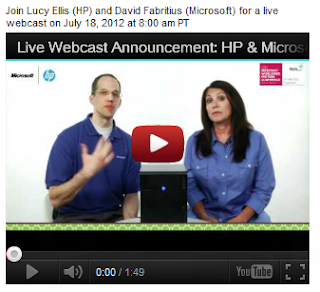 Anyway, they're holding a special webcast Wednesday, July 18th to talk about operating systems from MS and hardware from HP in the months ahead. Topics covered will be the following: Microsoft Windows Server 2012 Essentials features and benefits, customer scenarios, HP Product portfolio and transition plans. We’ll do a Q&A session for 20 minutes. We hope you can join us. If you follow me, you know I live the HP Micro Server "cubes" for my SBS Essentials (soon to be Window Server 2012 Essentials) and Foundation Server installations.